Medical carts are a vital part of the daily routine in any medical practice. It can be a cheaper option to buy carts that are ready-made for mass distribution. The only problem is depending on how they are being used they may not meet compliance standards. Many choose to customize their carts, so they fit the requirements of their office or clinical work environments. This allows the company to create a task-specific cart, which may be a more cost-effective and efficient option. The FDA has specific regulations that must be met by medical practices. 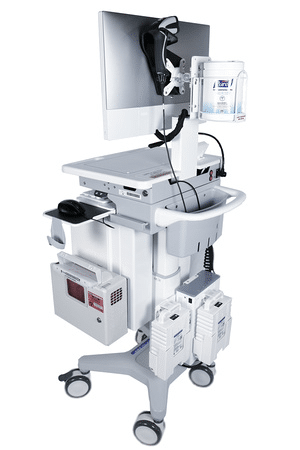 Medical devices, such as hospital carts, fall under IEC 60601-1 risk management testing. Many medical carts are considered medical devices by the FDA because they meet the three requirements set forth in section 201(h) of the Federal Food Drug and Cosmetic Act. It is true that medical facilitators can forego this testing if their cart works more like a piece of furniture. Those carts with power strips, medical testing equipment, and that continually travel should likely be tested for compliance. The FDA’s 60601-1 standards state that all medical devices must be appropriately labeled. There is a process that helps facilitators understand what proper labeling for each device is. The FDA also requires all medical devices and their manufacturers are registered annually. They also monitor quality system control. They will inspect “customized material” designs, manufacturing processes, labeling, storage, and installation of attributes. Point of Care and Medical Carts are equipped with monitor systems that allow for quick access to the patient’s medical records. It is also convenient for new information input when traveling from room-to-room. POC Carts and Crash Carts are almost always defined as “medical devices” and should be tested to properly meet all FDA regulations. There are a few areas medical cart suppliers should consider when customizing to regulatory standards. Shelves and drawers must be able to withstand constant use and the weight of the products. They should be collapse-resistant, so the equipment and medical supplies are not damaged. A serious amount of heat can be given off by the form of technology that is being transported on the cart. There should be a proper venting system in place so heat has a place to escape and overheating can be avoided. Wheels must swivel and move as intended without feeling the pressures of overload. They must have a locking and braking system. Carts should be able to pass through a threshold with little resistance at slow speeds. The cart must also meet measurement standards when passing through any doorway. Carts should undergo impact testing to make sure its shell can withstand both accidents and general wear and tear. Materials should comply with safety standards for medical materials. Cables should be tucked away out of sight. However, they should not be forced into a compartment of the cart. They need to be organized and neatly stored, so there is no danger of shortages due to bending and tangling. Screens can become one of the main issues of balance for a cart. If your monitor must move or extend, it needs to be tested for stability in relation to whatever else may be stored on the cart. The recommended rack-mount size is 19 inches. This allows for greater stability and is safer for carts that need better balance due to monitors and supplies. Manufacturers must ensure the locks on their carts are tamper resistant. One serious function of the medical cart is ensuring that unauthorized persons can not access medication and hazardous material. Types of batteries must be considered. Voltage is key in determining if a battery is appropriate for the device. Questions about replacement battery safety must also be considered. It may seem like a minor part of the overall medical cart; however, labeling is considered extremely important in meeting FDA standards for cart systems. Custom carts should have heavy-duty markings, so they withstand all its demands in a medical facility. Medical devices should be easily identified with serial numbers, model types, and date of manufacture if possible. Regulations require labeling of all voltage, wattage, power input and output currents. This allows for safety when dealing with electrical currents. If there is an aspect of the cart that requires an “on” or “off” switch, this must be clearly labeled. For those areas of the cart that house dangerous materials, there should be proper symbols to inform anyone that interacts with it. Certain colors indicate specific meanings in the medical world, but color should never be the only indicating factor. Labeling should go farther than simple concepts like red for danger.